Today we would like to present a wholesale company that offers for sale pallets of mixed electronics and kitchen appliances coming as returns from the customers. For this purpose, we are going to present two of the offers that have been recently listed by the seller. The first offer is on stock that is composed of 5 pallets of different multimedia and small consumer electronics, including 583 pieces altogether. Among the products mentioned in the stock there are: car radios, wireless speakers, subwoofers and amplifiers, home cinema, gaming consoles, projectors, cameras, flashlights, electronic nannies, radio players and many more (see the photo above). The products belong to many popular brands such as Philips, Yamaha, Samsung, iRobot, Sony, Denon, Pioneer, Eltax, Finlux, Boa, Mac. The whole stock is for sale at the wholesale price of EUR 6,500.00 (take-all only). You can get more information if you go to the offer’s page HERE. 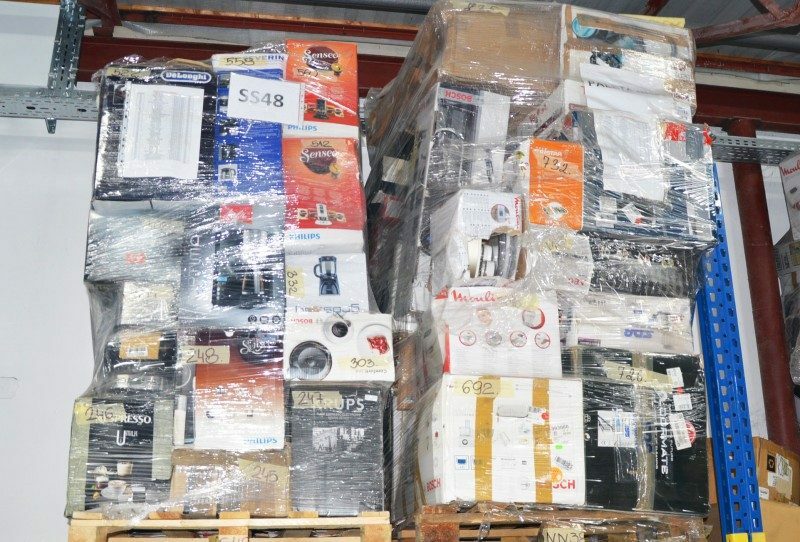 The other offer is dedicated to household and kitchen appliances, and this time it is a large stock composed of 15 pallets. Bosch, Philips, Rowenta, Brandt, Vileda, Teka, Karcher, Lagrange and AEG Vampyr. 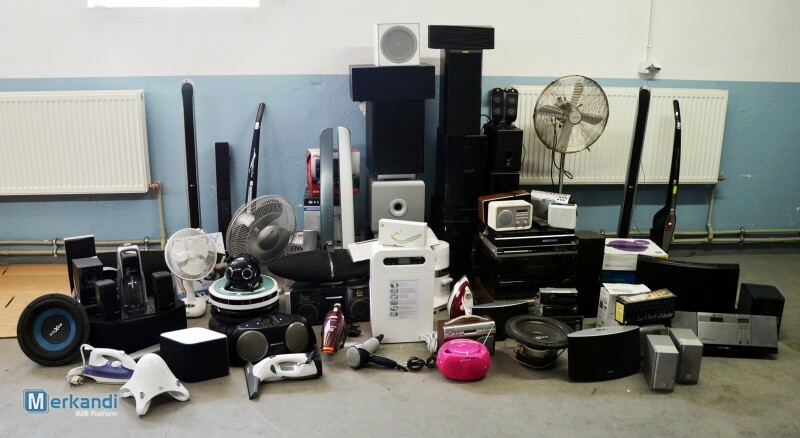 You will find there equipment such as: air humidifiers, heaters, vacuum cleaners and vacuuming robots, electric grills, food processors, bread makers, electric kettles, blenders, steam mops, etc. The acceptable payment options are: bank transfer, payment online or paying in cash. You can either collect the goods in person or have them shipped to your location. The wholesale offers international delivery.